Blueprint: Film Foundation deliver filmmaking and multimedia courses to a range of community groups and educational establishments. We use our skills in film and multimedia as tools to inspire people from disadvantaged backgrounds, to address social issues, to help enrich people’s lives, to increase access to creative media and to strengthen communities. We are looking for an enthusiastic and energetic person who can both coordinate and deliver our projects for young people and communities in London (largely Hackney and Tower Hamlets). Our ideal candidate will be someone who is passionate about working with children, young people and disadvantaged communities, has experience planning and delivering workshops in film/drama/arts subjects and has the vision and drive to significantly contribute to the strategic development of our small but successful Not-For-Profit company. We want a confident, dynamic and creative person, with bags of initiative and a passion for Participatory Arts. If this is you, we’d love to hear from you. Please note that the successful candidate will be delivering a project with young people this summer. Please only apply if you have previous experience running workshops. You will be responsible for training young people (and other community groups) to develop ideas, write scripts, act for film, direct film and so on. We don’t mind if your workshop experience isn’t in film, as long as you feel confident supporting young people to tell their stories. You will be working alongside a Film Practioner on projects. We work from two locations in London and Lincoln and work with disadvantaged communities in both areas. The Project Coordinator will be responsible for projects in London (outlined below) but may, from time to time support on our Lincoln projects. Creative Ways into Work – Funded for three years by Reaching Communities this will be the Project Coordinator’s main focus. This project uses filmmaking as a tool to help develop disadvantaged young people’s employability skills followed by supporting them into employment/further training. Flix – Our film screenings project is open to all age groups including young people, families and the elderly. The project engages participants in the planning, development and delivery of a free film screenings programme for their community. Heritage – We are currently developing our heritage program that explores the hidden history of a specific location/community followed by a programme of interactive and multi-disciplinary workshops, events and activities to share and celebrate local history with the local community. Our previous Heritage projects have included the development of an App, that allows users to participate in an interactive, heritage walking tour. If you have any questions you should also direct them to Laura on the above address by Wednesday 16th May, 5pm. 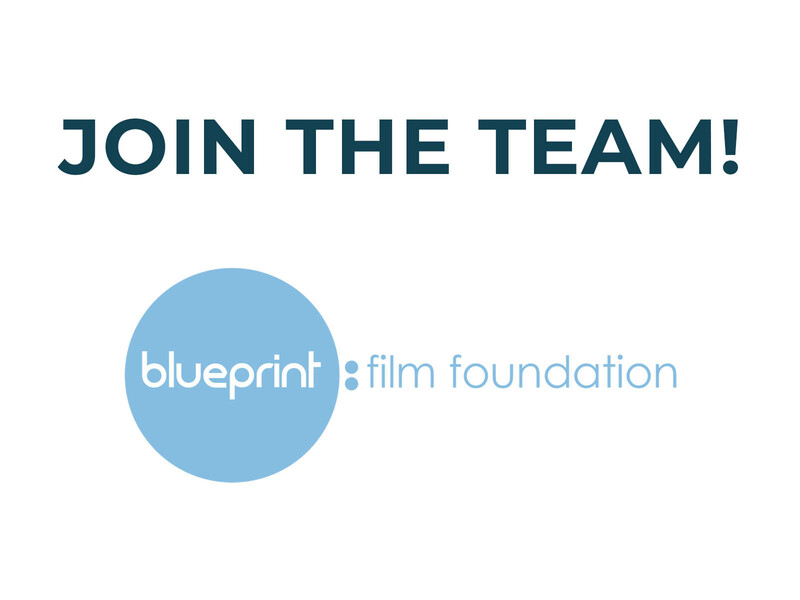 All questions will be outlined and answered on the job advertisement page, on our website, www.blueprintfilmfoundation.co.uk/jobs by Friday 18th May. Shortlisted candidates will be notified by Friday 1st June and interviews will take place the week beginning 18th June. We regret that we will not be able to offer feedback to any candidate who isn’t shortlisted.